Henry Waxman is one of our country’s unsung heroes. His relentless efforts at working towards the public good and his caring efforts for the outcome lent to the passing of the 2009 climate bill. The naysayers of the bill claim that it was put together behind closed doors with corporations and green groups, but this is not the case. The carbon tax bill was designed to curb energy waste and make those that don’t follow the rules pay for it. Waxman and his supporting colleagues have not only achieved an outrageous success, especially considering the Energy and Commerce Committee is Republican controlled, but have put together an online plan to receive both expert and public input and feedback. To get a good grasp on what the bill does, you need to understand the main concepts. It will first establish a fee for carbon pollution that applies to all of the six greenhouse gas categories. It will require those that have carbon pollution to pay a fee for permit for their carbon pollution based on the quantity of pollution as reported by the EPA’s Greenhouse Gas Reporting Rule sources. It creates a program that will be administered jointly by the EPA and the Department of the Treasury. 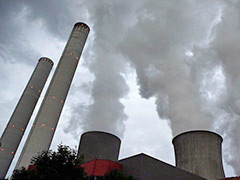 The EPA will be responsible for implementation and enforcing the reporting of the emissions under the Greenhouse Gas Reporting Rule and the Treasury will be responsible for the assessment, collection and enforcing the fee requirements at the point (location) where the emission of carbon pollution occurs and/or passed onto consumers (this is dependent upon the type of source). Sounds pretty good and astounding that something this common sense and simple was passed in Washington, D.C. However, there are some rather tricky questions that the legislators are grappling with and you might be able to help with. The first question is what would be the appropriate price per ton for the carbon polluters to pay. There are alternating opinions on the prices ranging from $15 to $35 per ton; a far better number than ever presented previously. Various government studies are based on what is referred to as the ‘social cost’ of carbon polluting and have been very low. Other studies are showing that the range should be anywhere from $55 to $266 per ton. The United Kingdom has been doing this far longer, with better statistics and history and their rate range is $41 to $124 per ton. The second question that arises is, once a price is determined, how much should it increase on the annual basis? The draft range percentages run from 2% to 8%. A third question will probably pique your interest as it poses what the best ways and methods will be to return the added revenue back to the American people. The draft has proposals covering a variety of avenues: mitigation of energy costs for the consumer, especially for those that are considered low-income; the reduction of the Federal deficit; the protection of the jobs for those workers at energy intensive, trade-vulnerable industries and the reduction of tax liabilities for both businesses and individuals with another option of investing into additional activities that will reduce carbon pollution and the polluting effects. All of these are honorable, but the last needs to be kept an eye on, as that could support pet projects, pork and other government nonsense. The last question is how should the carbon fee program and state programs interact in ways that will address carbon pollution. Posted on May 7th under Pollution Reduction. Big companies have been polluting around the world for years and all of us have been yelling about it since the early 70’s. They just keep polluting, ignoring the cries and scientific evidence and continuing to put the profits in their pockets. If there is any price increase to protect the planet, they extend it to the rest of us. I think there should be an addition to the bill that keeps these companies from passing the cost on to all of us. After all, they need to be accountable for their very bad choices. Don’t count on this happening too soon. Like everything else, the Republicans will drag this out for years to protect their oil (and polluting) buddies. Meanwhile, we pay higher and higher prices and the world sinks into the muck. I think they should look at the carbon tax bill in the same way that they set up our regular taxes, but in reverse. The ones that contribute the highest pollution should be taxed at the highest rate and set it up with a concept of increased pollution cost on both a global and social level. The annual increase should be really substantial (unlike the configuration of our own cost of living increases).